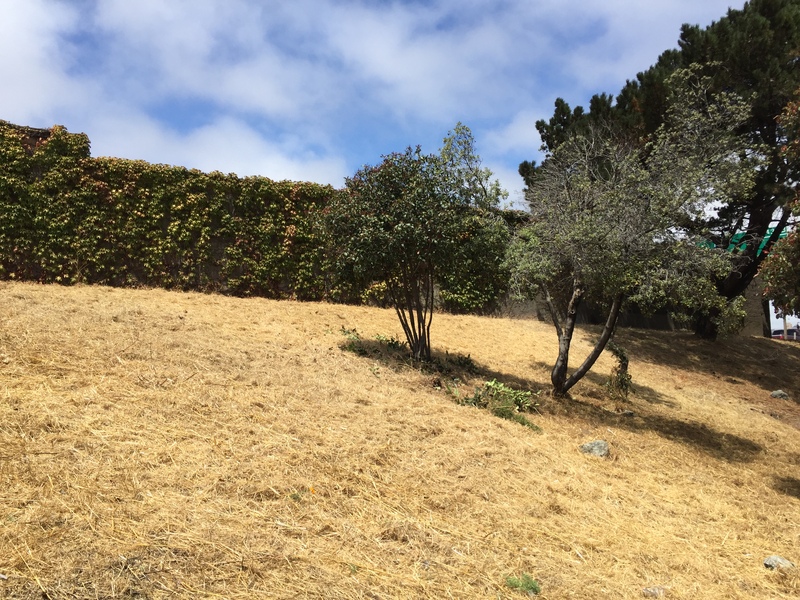 Check out the website for the Dogpatch & NW Potrero Hill Green Benefit District to see what the GBD has done. After electing the 13 person GBD board in December 2015, the Dogpatch & Northwest Potrero Hill Green Benefit District got to work. In June the first GBD Executive Director, Julie Christensen, was hired Also starting in July 2016 GBD janitorial Service Provider, Aim to Please and landscaping Service Provider, Frank & Grossman, got to work. 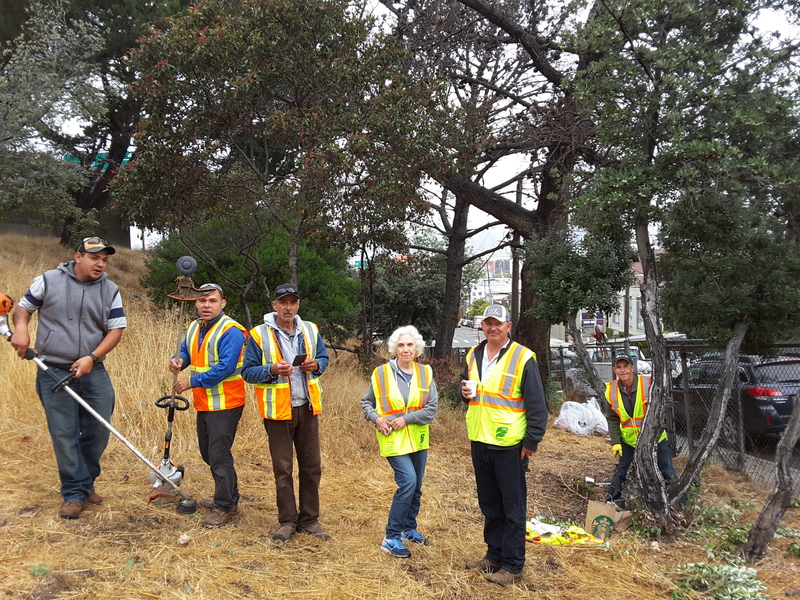 While the Potrero Gateway Loop Steering Committee continues to search for funding for the new urban park, the GBD service providers, Frank & Grossman, with help from neighbors Joe Treinen and Jean Bogiages, spent a Friday morning picking up trash, weed-whacking the meadow and pruning the bushes on Vermont Street. Frank & Grossman Crew, Jean & Joe Job done! !